Auto Loan | Coeur d'Alene, ID | Nexus Financial Inc.
Why choose us for an auto loan? Since we are not just an auto loan lender we are here to help you with all reasons pertaining to your auto loan. 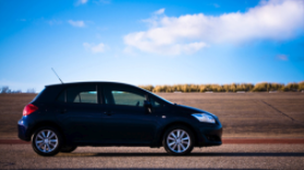 We also can add the cash you need to an existing auto loan for all reasons. Don't hesitate to ask. We have you covered! The next time you are looking to purchase a new or used vehicle, use a Nexus auto loan, and get loan options that will meet your situation. Through Nexus Financial Inc, you can refinance your current auto loan so that you might be able to have a smaller payment or even get your interest rate reduced! Not only can you refinance your current auto loan through Nexus Financial Inc, you can also borrow additional funds along with that refinance! You could use these additional funds for any reason you deem fit. Apply online for your auto loan today.